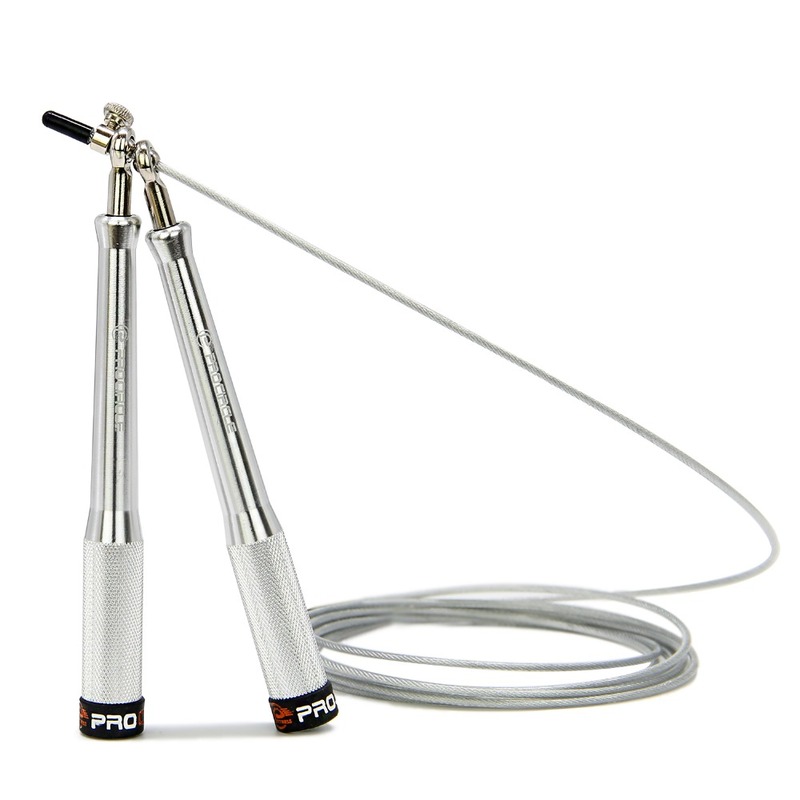 Speed Jump Rope Best Bearing Speed Cable for Double Unders Skipping Rope Fitness free bag. 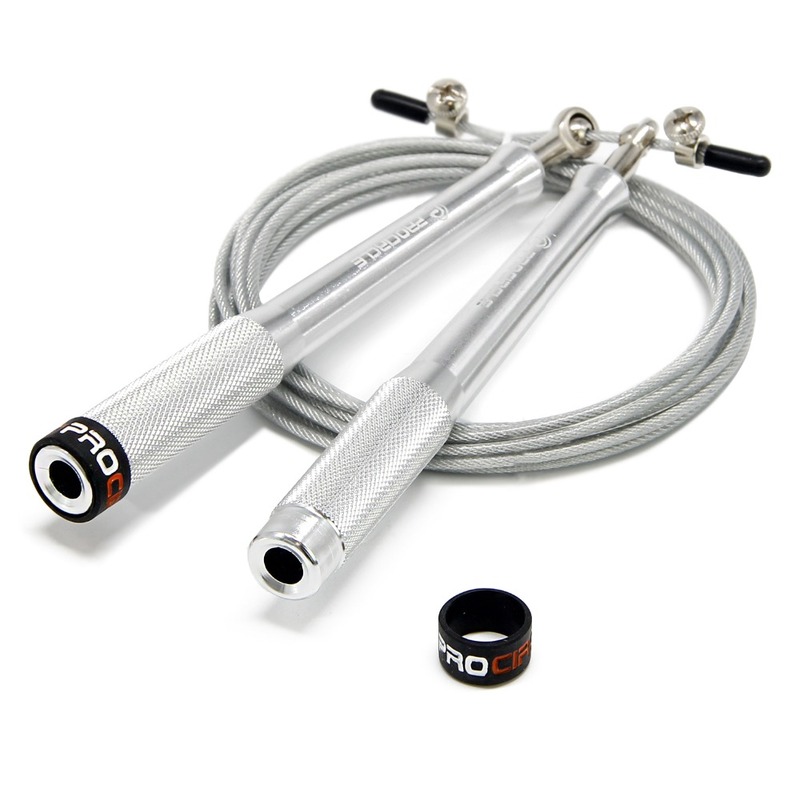 ERGONOMIC HANDLES AND TANGLE-FREE DESIGN – This incredible fitness jump rope has an ergonomic handle with sufficient length to allow for easier crossing moves, sturdy build for a long life yet lightweight design to aid in swift spinning, and a surface that offers firm yet comfortable grip to let you conveniently use the rope for long hours. 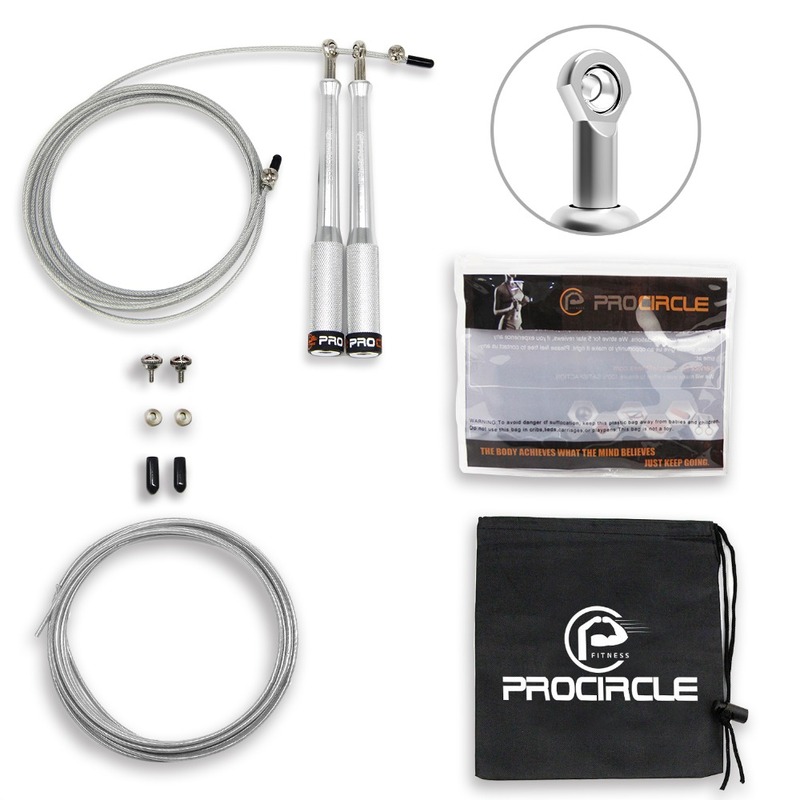 The rope is not expected to kink or tangle and thus is ideal for throwing in a gym bag! 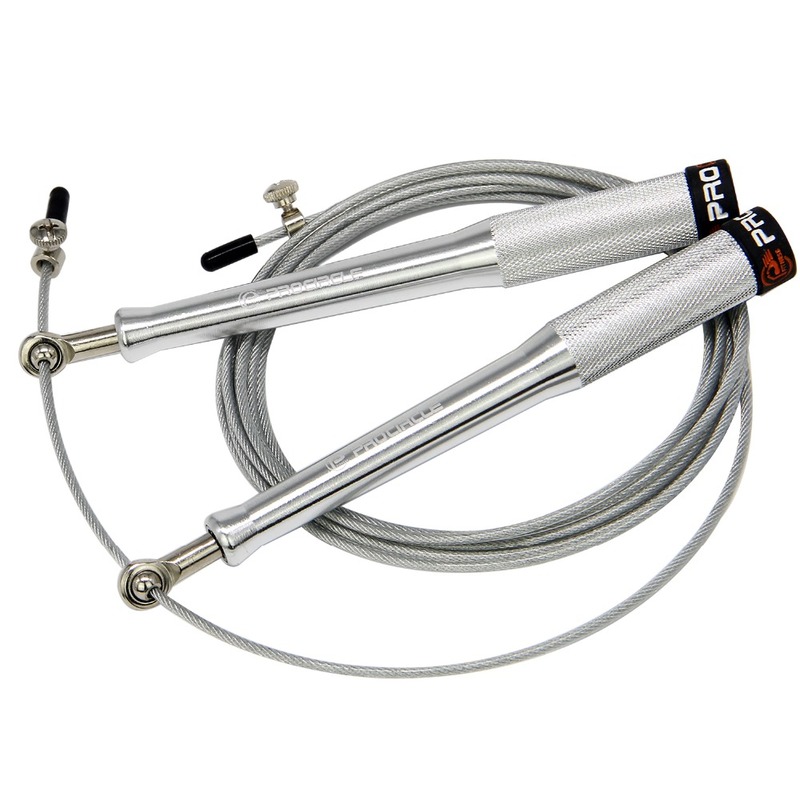 ADJUSTABLE LENGTH – Our speed skipping rope has 10ft long cable and an easy mechanism that allows you to adjust the length of the rope just in a blink – all you need to do is slide the thumbscrews to the desired position and you are good to go. 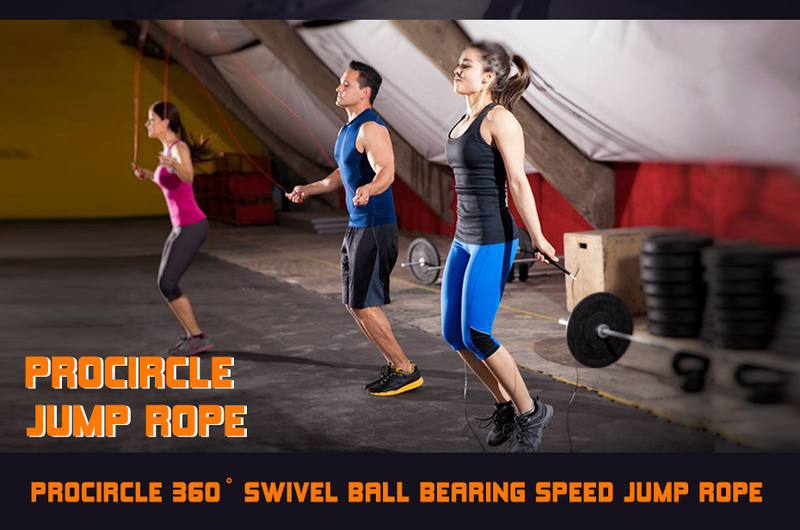 So, be it someone in your family or a friend, anyone can use it by adjusting the length in proportion to their height – thus eliminating the need to buy Separate ropes for everyone. ​NOTES: If the weather is very cold, please Do NOT use the rope skipping in the open air. 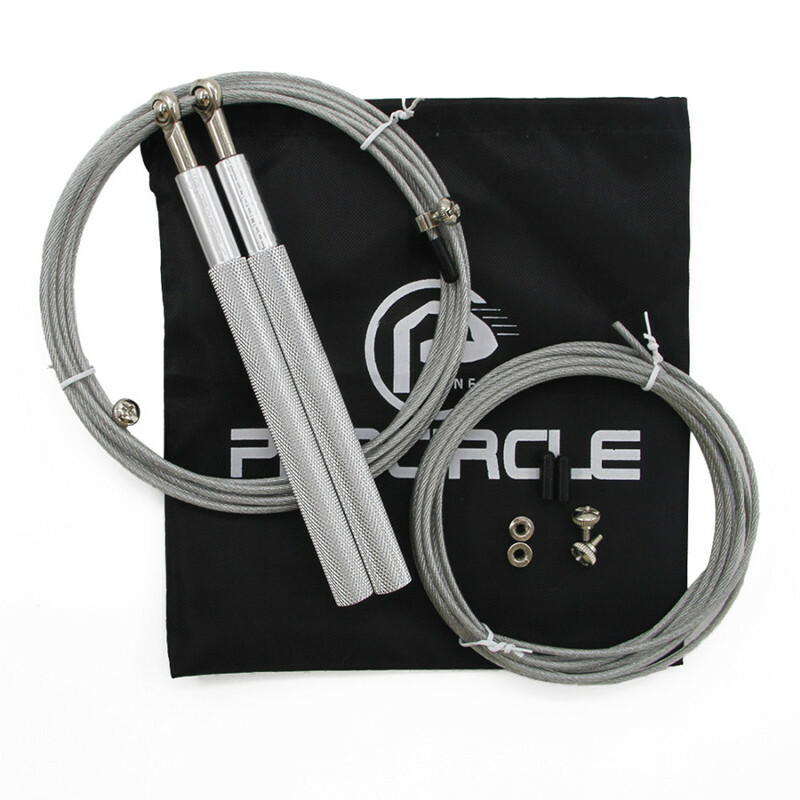 Because the wire rope is affected by the low temperature, it is very fragile and easy to break. When you use it in the rough ground usually,you can use this wear-proofing tube,put it through cable,use tape make it fixed between the cable.